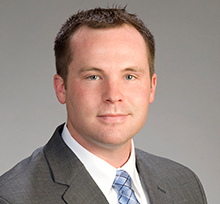 Matthew York is an associate in Brown Rudnick’s Intellectual Property practice. He focuses his practice in patent prosecution, concentrating on the preparation of national and international patent applications and reports on patentability, infringement and validity. His experience includes preparing and prosecuting U.S. and foreign patent applications for Fortune 100 companies, mid-size corporations, start-ups, individual inventors and entrepreneurs in a variety of technologies including mechanical and electromechanical devices, medical devices and implants, biomedical compositions, automotive lighting optics, human-computer interface systems and wireless communication systems. Prior to attending law school, Matthew worked in a variety laboratory settings, including the Microbial Diseases Department of Yale Medical School, performing research in the area of genetic variance and viral diseases, developing and implementing new procedural approaches, resulting in published work. Prior to joining Brown Rudnick, Matthew served as a patent attorney at Grossman, Tucker, Perreault & Pfleger, PLLC.